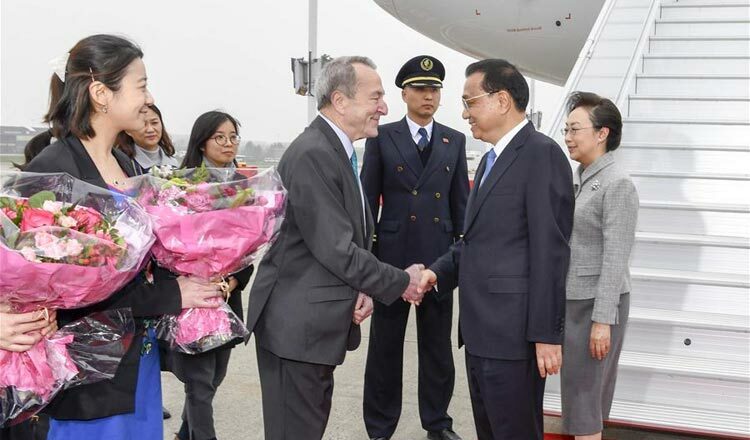 Premier Li Keqiang kicked off his visit to Europe on Monday. During his trip, he will co-chair the China-EU leaders’ meeting with European Commission President Jean-Claude Juncker and European Council President Donald Tusk in Brussels and then head for Croatia to attend the leaders’ meeting of China and Central and Eastern European countries (CEEC) (16+1). This is an important opportunity for deepened exchanges between China and Europe. However, prior to the two major meetings, some European media outlets hyped that China and the EU may not be able to issue a joint statement at the Brussels summit. They also poured cold water on cooperation between the two sides by making an issue of the differences between them. The China-EU leaders’ meeting is an annual event. The past two summits in 2016 and 2017 ended without a joint statement. It would not be a big deal for bilateral cooperation if no joint statement were released this time; it would just be an indication of a reluctance on both sides to compromise over key issues. For instance, it has been reported that the EU intends to make the Xinjiang question a topic. It’s normal for China to reject such a topic in a joint statement. President Xi Jinping just concluded his Europe visit recently, which yielded a series of results. The upcoming China-EU summit will only consolidate these results, and there is no anticipation anything will derail it. There were no joint statements after the 2016 and 2017 summits, but that did not affect the trend of China-EU cooperation. It is not surprising to see divergences between China and the EU, but the mainstream of bilateral relations is to keep expanding cooperation. When Europeans deal with China, some obvious psychological traits have taken shape. To begin with, they somewhat fear competition with China. They worry that Europe will gradually lose its technological competitiveness and eventually be marginalized as China is continuously upgrading its high-tech capabilities as a super economy. Second, they sway between China and the US at the strategic level. Given the intertwined interests on issues of international relations such as security, trade, climate change and multilateralism, there are some questions about whether China is a strategic partner or a competitor. Third, although interests for bilateral cooperation have grown, political and ideological disputes have not been reconciled. There is division within Europe over where differences with China, such as human rights, should be placed in bilateral ties. The development gap between Eastern Europe and Western Europe has played a negative role in strengthening EU solidarity. However, major EU powers have blamed the 16+1 cooperation mechanism for jeopardizing the unity of the bloc. This is a narrow-minded view. Nonetheless, the above-mentioned negative factors can exert only a limited influence on China-EU cooperation. Without being affected by grave geopolitical competition, China and EU have followed a pragmatic logic in conducting cooperation and reached a consensus to resolve problems through negotiations.